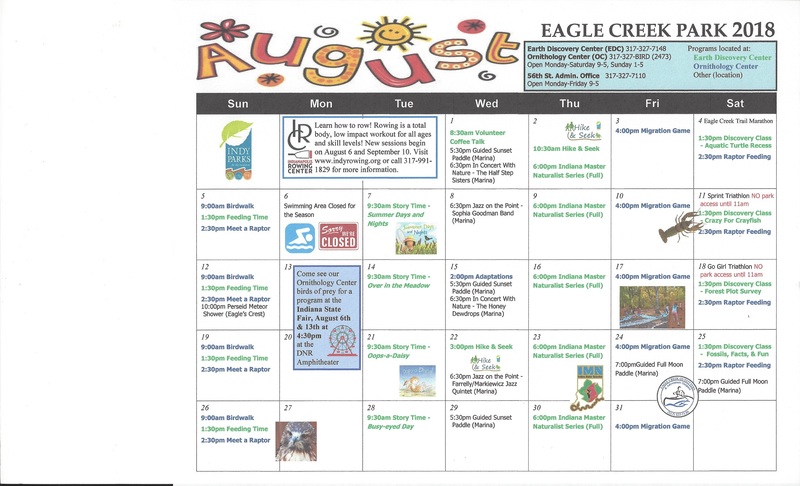 Attached is the Eagle Creek Park Calendar for August. 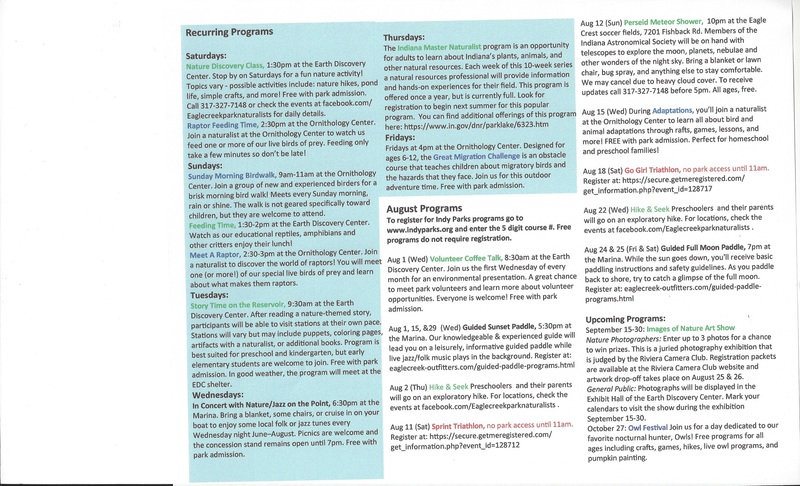 Lots of programs and activities are going on in our Park, especially at the Ornithology Center and the Earth Discovery Center. Don’t forget that there are 4 more concerts at the Marina. These have been very popular this season and I have heard good things about them. Hope you will take advantage of what our Park offers and enjoy visiting often. Just a reminder – the last day for the beach to be open is Sunday, Aug. 5th. Also, on Saturday, Aug. 11th, and Saturday, Aug. 18th, there will not be any park access until 11:00 a.m. due to a triathlon taking place each of those days. 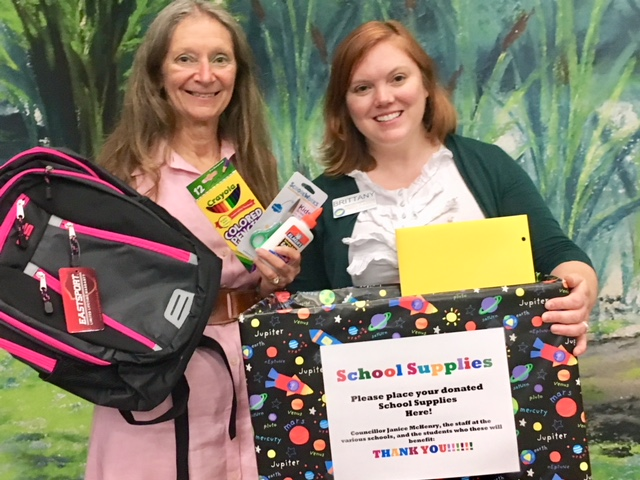 Brittany Davis, Eagle Creek Park Manager, and I would like to thank everyone who has donated to the School Supply Drive. If you have not donated yet, and would like to do so, or would like to donate again – please drop off school supplies at either the 56th Street Gate House, the 71st Street Gate House, or the Earth Discovery Center until August 6th. I am currently sorting the supplies and getting ready to box them up to take to the various schools in our district or that serve students in our district. Your generosity helps students that may not otherwise have the supplies they need to do their work at school. All supplies are greatly appreciated by not only the students, but by the teachers and staff at the schools.